On Wednesday evening, 13 March 2019, H.E. 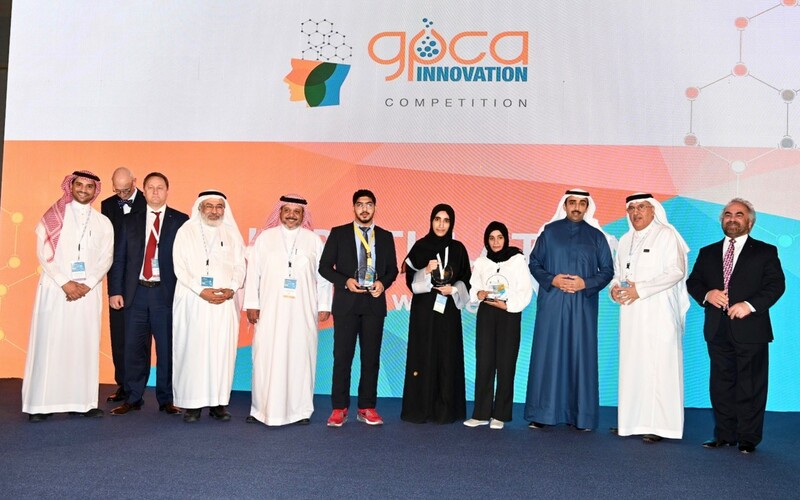 Shaikh Mohammed bin Khalifa Al Khalifa, Minister of Oil, honoured the winners of the first edition of the Innovation Contest, which came under the activities of GPCA Innovation and Research Summit during 13-14 March 2019, at the Art Rotana Amwaj Hotel. The purpose of this ceremony is to encourage creativity within the university students in the Arabian Gulf region. H.E. the Minister of Oil praised the outstanding efforts shown by the regulators in the inclusion of a number of distinctive industrial initiatives, which was the foremost of the innovation competition, which came as a milestone that made this event more relevant to the world economic market. H.E. the Minister of Oil congratulated the winners, praising their creativity in providing research and chemical innovations, wishing them all the best and success and achieving more in order to reach the aspirations of the Arab countries in development and prosperity within these specialized industries in petrochemicals, chemicals and other related industries. H.E. the Minister said that we are proud of the students who are strong and eager to develop various sectors in the Arab countries. Noting the importance of the role of innovation and research in the development of the production process, that has remained as a fierce competition between various international companies. At the end of the ceremony, the winners expressed their great pleasure in allowing them to review their ideas and initiatives in this important event, which included the latest technology in the oil, gas and petrochemical industry and to review the best experiences, practices and modern technology in this vital area. Expressing the profound impact, it has had on their mentalities and in motivating them to work harder and exchange knowledge with different oil companies and institutions.